If there’s something I would never change about Spain (and note that this would probably be the only thing) is its gastronomy. Especially for these days, so close to Christmas, I can’t wait for the moment to come back to my hometown and share great dishes made by my mother. Of course, each region has a specialty, let’s have a look at some of the most famous. Please, if someone knows of others, let me know! These dishes are both typical from Catalonia and have many things in common. Actually, there will always be a discrepancy about whether it is the same dish or not. They are both very consistent soups, but for me, it’s not the same dish. 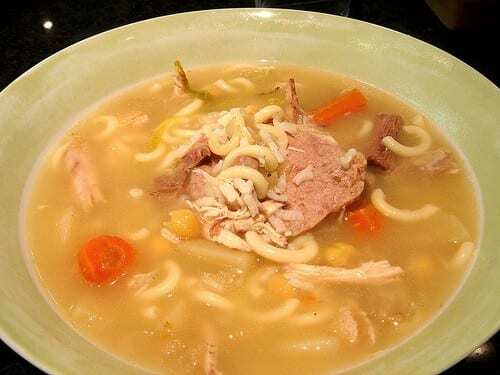 Let me explain: I consider that the sopa bruta is made with a galets (traditional and large special type of pasta) and escudella is made with noodles. It’s a suckling pig roasted in a cooked oven. This is a dish typical from the center of Spain. So, you’ll be able to taste in Madrid or in any town in the area, but the best place to eat it is in Segovia. I’ve never tasted it, because I don’t particularly like seeing entire, cooked mammals on my plate. But if you can, they say it’s certainly exceptional. Eating seafood (cooked or raw) is also a tradition in Spain, though, for sure, in coastal areas like Galicia, Catalonia, Basque Country, Valencia or Andalusia. I love any kind of seafood, seriously, to a point where it can cause some serious damage if I don’t control myself. This is a typical dish from Galicia, where fish (and seafood) is abundant and of a great quality. What’s more surprising is that they include an apparently normal vegetable to combine cod with. But, believe me: I’ve tasted this dish and the combination is superb! This dish likely the most popular in the Spanish regions (always after Iberian ham), as it is (one of the very few) traditions common all around the territory and it’s one of the essential dishes that most of the houses in Madrid, Barcelona, Seville or wherever in Spain have for Christmas. 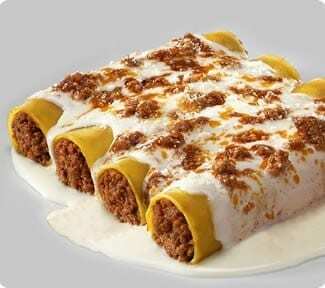 The most traditional ones are made from meat (any kind, but it’s very common to use boned, crushed, stew meat, wrapped in pasta and covered with béchamel sauce. There is, though the vegetarian version, with spinach, normally, and the summer version, with tuna, fried tomato, and mayonnaise. All of them delicious! How about you? Have you tried any of these Spanish Christmas foods? 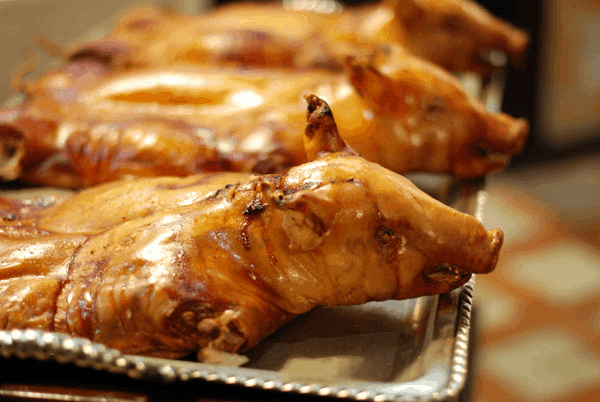 Great post – I have tried lots of these but I think my all time favourite is suckling pig! @GourmetChick, it is my favorite too! It’s hard to be far from the holiday favorites and Spain doesn’t look like it has as may tempting dishes as, say France. Luckily you cook!